This is the philosophy of the young family who own this villa. 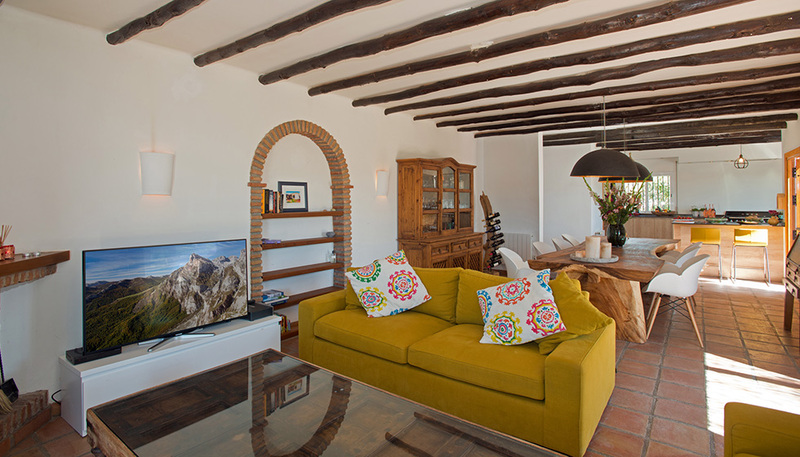 The happy atmosphere of the house will add to your family's perfect holiday in the sun. 3 (2 doubles, 1 tripple bunk beds). 8 m x 4 m, 1.3 m - 2 m deep. 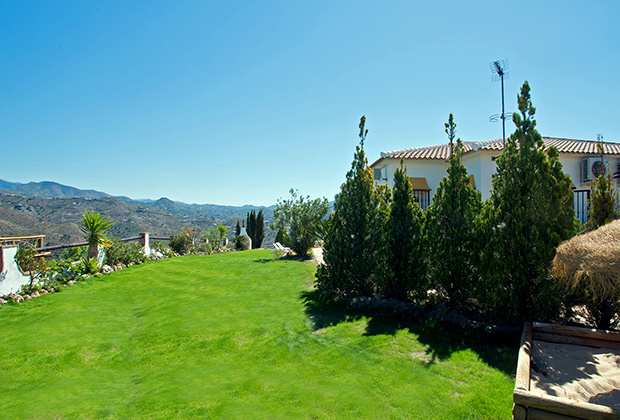 In open countryside, accessed by a 1 km track in good condition , 4 km from La Viñuela in the Axarquia region (Province of Málaga). 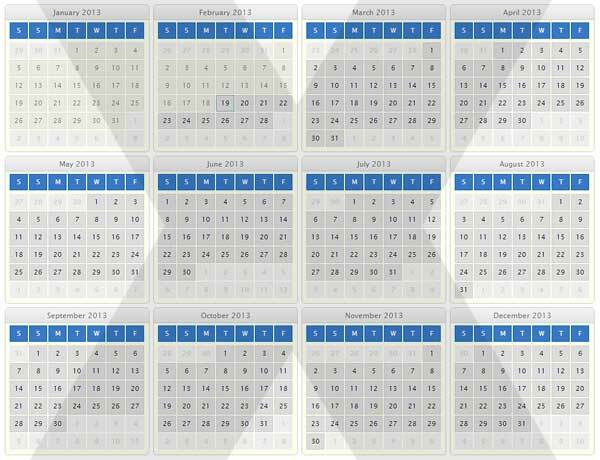 From 1,600 € to 3,100 € per week. This house was found after a long search by the owners. They fell in love with it and took it under their wing. This is a purpose-built holiday home with a difference. The young Belgian owners have recently bought the house and totally reinvented what was originally a conventional “Costa del Sol” holiday property. 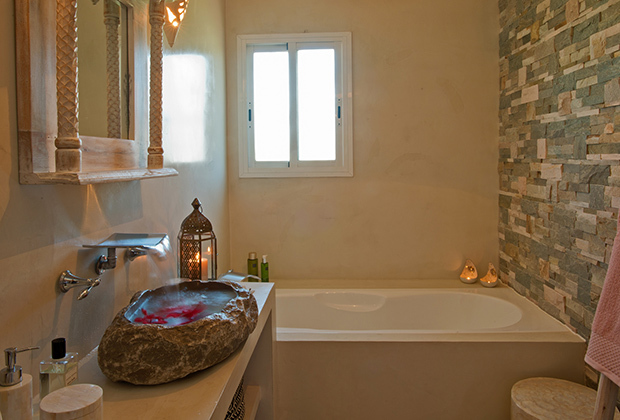 The house has been transformed into a lovely home with luxury facilities ideal for all seasons. 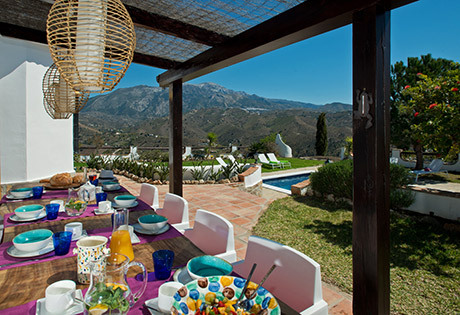 The villa is set atop a sunny hill, the gardens and grounds extend down into the olive groves and orchards of a variety of fruit trees. 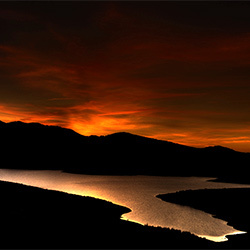 From this vantage point you can fully appreciate the wonderful surroundings, rolling hills encompassing the local towns, the mountains and lake in the distance. The decor is stylish yet at the same time relaxed and comfy. Take a few steps up to the front porch overlooking the pool and you go straight into the open-plan living-dining room. On entering the house, you notice the ambience straight away - it has a really pleasant 'feel'. The rooms in the house are all on one level so it's ideal for family members who have difficulty with a lot of stairs. Originality and elegance combine to enhance the quality of the living space – this is a lovely room, very light and attractive but still very homely. There's space enough to accommodate 8/10 guests around the magnificent dining table, or on the comfy sofas in front of the rustic brick fireplace. 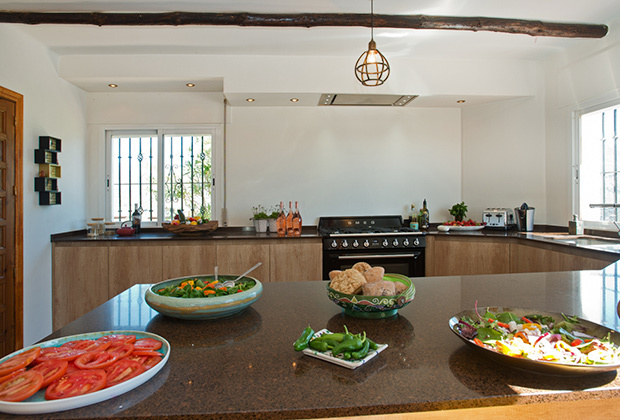 The space is perfect to gather with friends and family, cooking and dining together. The house began with a promise ... a promise more than kept. The swimming pool was a promise to the children of the family after their mother's runaway success with an exhibition ... an exhibition, but for other people's children! Once the show was over, their pool idea could become a reality. After a long search, this was the last house they saw before having to go back to Belgium. Despite the villa needing attention, the family couldn't stop thinking about it, sometimes even dreaming about it, and so the decision was made. 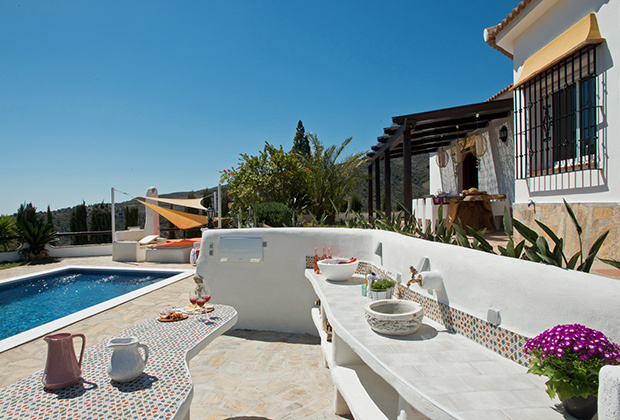 The swimming pool is in front of the house and measures 8 x 4 metres and can be closed off for safety. 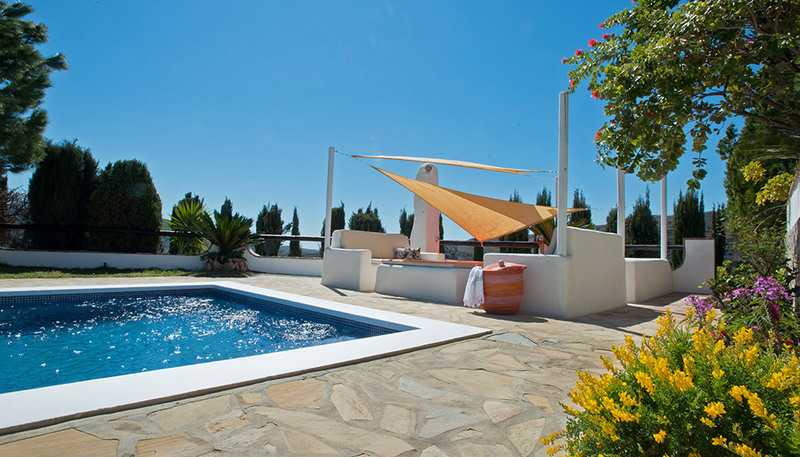 Next to the pool is an attractive solarium with comfy cushions and shade from the sun - a real oasis of calm. There is also a two-storey wooden "tree house" hideaway looking out over the hills which older children no doubt would love to make their own. 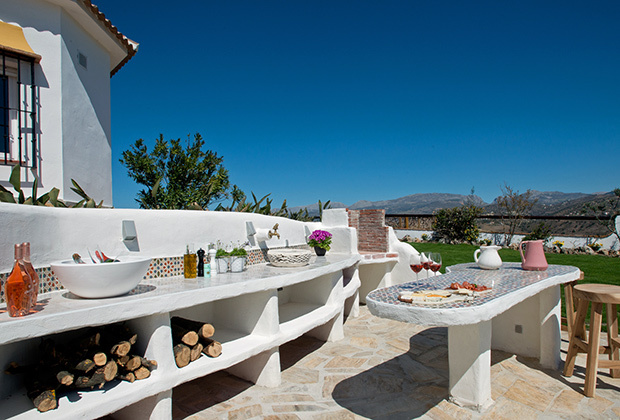 The villa has a fabulous outdoor kitchen with a barbecue. 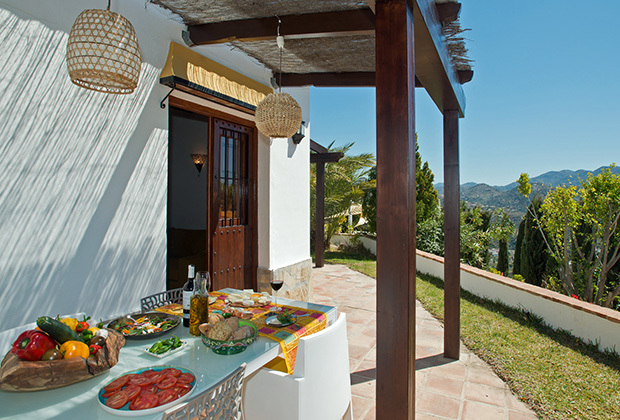 What could be better than cooking up an al fresco lunch, cold beer in hand, while listening to all the splashabout fun in the pool. 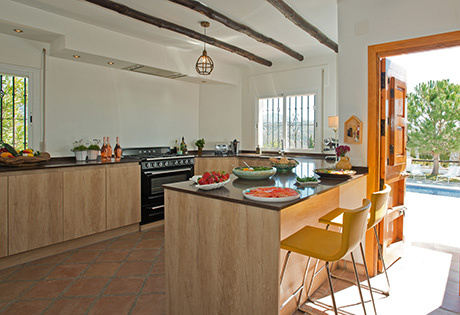 The indoor kitchen is sepated from the dining room by a wide counter-breakfast bar. This main attraction, with all the amenities, has obviously been designed by someone who loves to cook. It has a five-ring quality SMEG cooker, state of the art kitchen equipment, hand picked crockery and lots of worktop space. Great care has been taken with every detail of the villa. 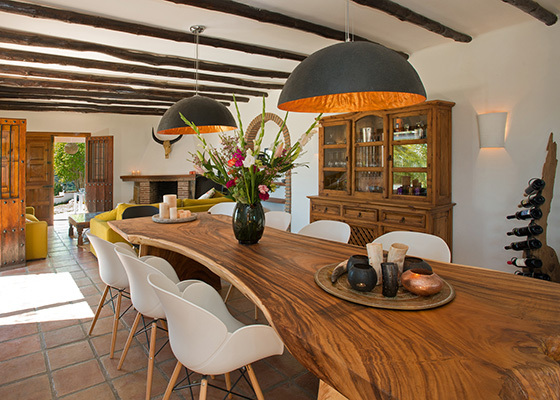 From the design of the house itself, to the materials used, the owners have taken pride in every aspect. They have designed and created this home in keeping with their original dream. 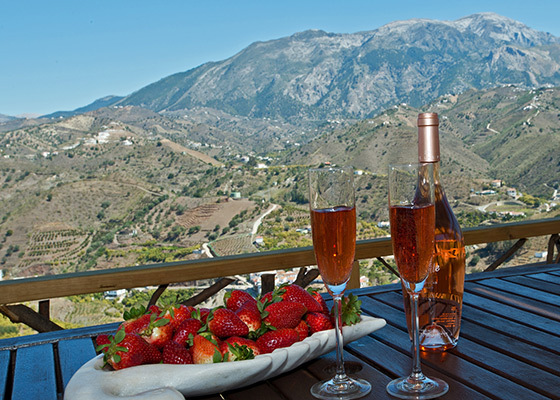 Every room has a terrace and every terrace has a spectacular view of the surrounding Axarquia hills. 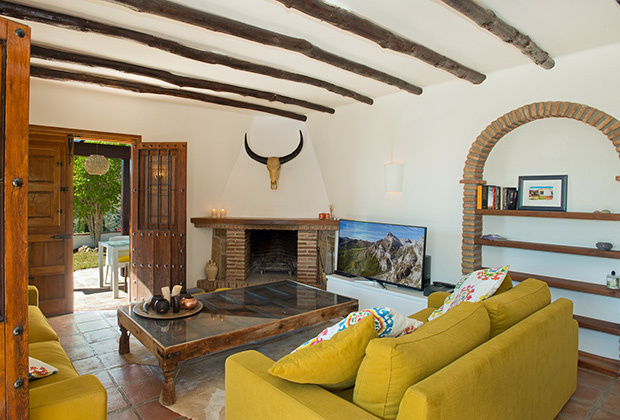 All rooms open on to the terraces that surround the house and there is a terrace for every occasion – one for breakfast, one for lunch, one for afternoon siesta, another for dinner - and all with beautiful views. 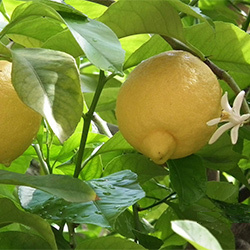 The garden has bright flowers, succulents, palms and conifers in keeping with the climate. From the living room an archway leads to the three bedrooms and bathrooms. At the end of the passageway is the master-bedroom. it is not a large room but is decorated with tasteful simplicity in warm, neutral colours – there is a wall to wall wardrobe – and French windows leading to a partially covered terrace. 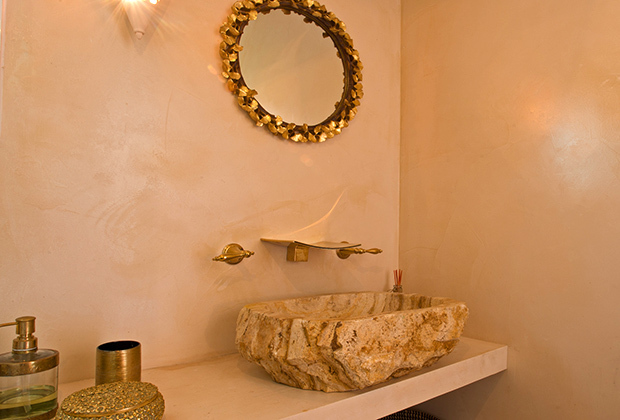 The en suite shower room, connected by an archway, is decorated in warm yellows and golds, one of the walls in stone, matching the colour scheme. The shower is walk in. 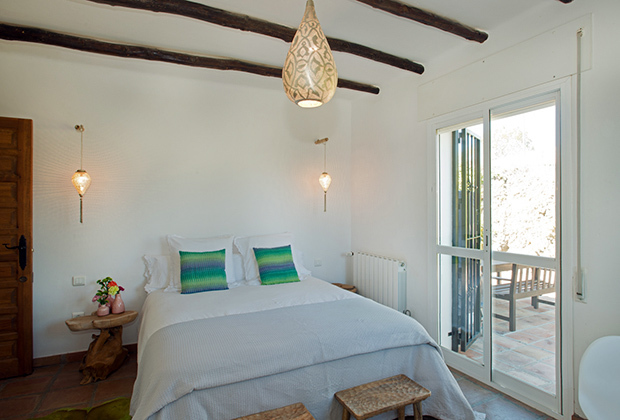 All the rooms have been designed and decorated to give the maximum feeling of space and and light. The middle bedroom is the children's room. 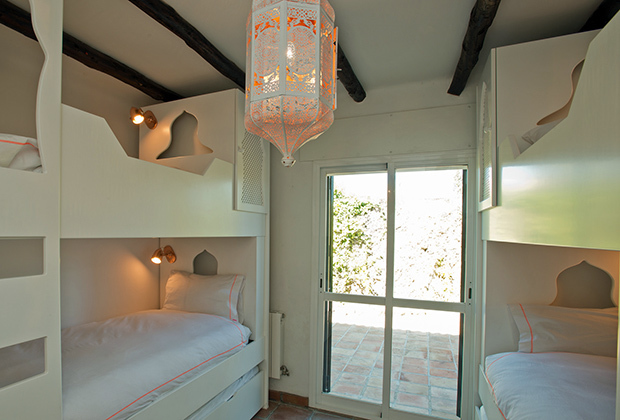 Two cleverly designed bunk beds, with two pull-out lower beds, make a total of six standard single beds. Although there is not much floor left to spare, no space has been neglected. Through clever design, every corner has been put to good use: there is a TV and PlayStation in the closet. 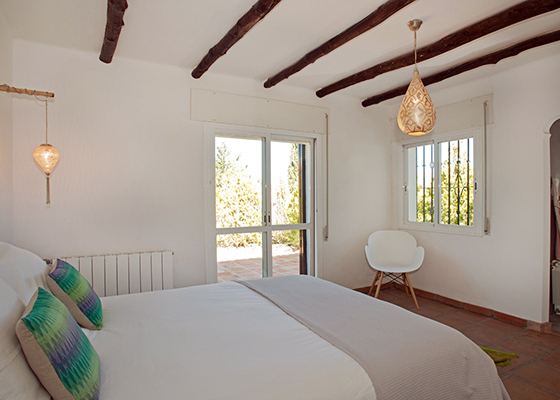 The third bedroom is double, again decorated with simple elegance, the white walls with dark beamed ceilings, a splash of colour from the fabrics. 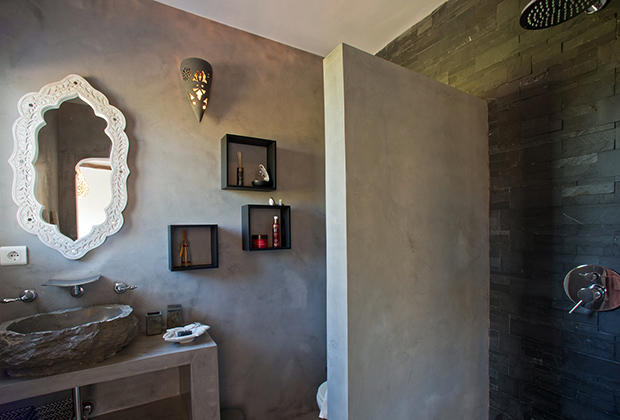 Here the en suite shower room is decorated in shades of grey. 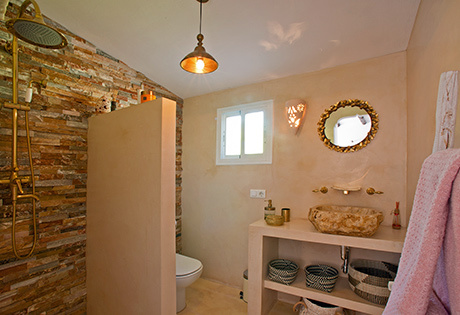 The third bathroom is a full bathroom with a shower over a bathtub, decorated in pastel colours warm and inviting for a long, relaxing bath in the colder winter months. 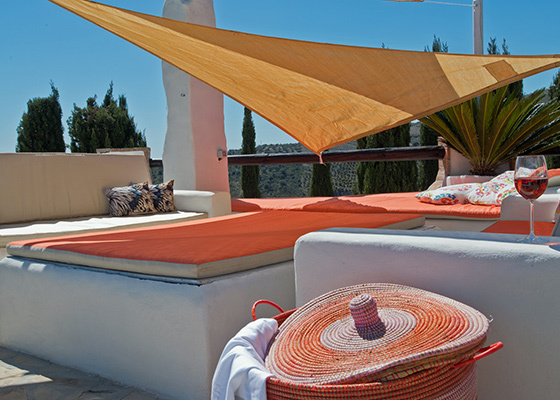 Delight in the sun, light and air of this Mediterranean location. 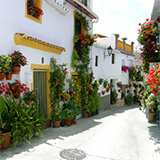 The Axaquia area is real, unspoilt, rural Spain. If you are looking for a slower pace of holiday with a focus on outdoor activities like walking and picnics and visiting authentic white villages, then this is the place for you. Most of the economy comes from agriculture although tourism is very gradually becoming more important. Olives and almonds are the main crops, and as for livestock you may have to stop your car to let a herd of goats cross the road. The region is not touristy and you may have to brush up on your Spanish a little more than you would on the coast. But the local people are very friendly and there's nothing that can't be sorted out with a smile. Children are particularly welcome and made a great fuss of. Lake Viñuela is close by and this picturesque stretch of water, although man-made, is a lovely spot. You can swim and hire kayaks as well as have lessons in dinghy sailing. There are lots of picnic places by the lake, but with barbecues, do take care to follow the signs as to when and where you can cook - for fire safety, especially in the summer, there are designated barbecue areas. 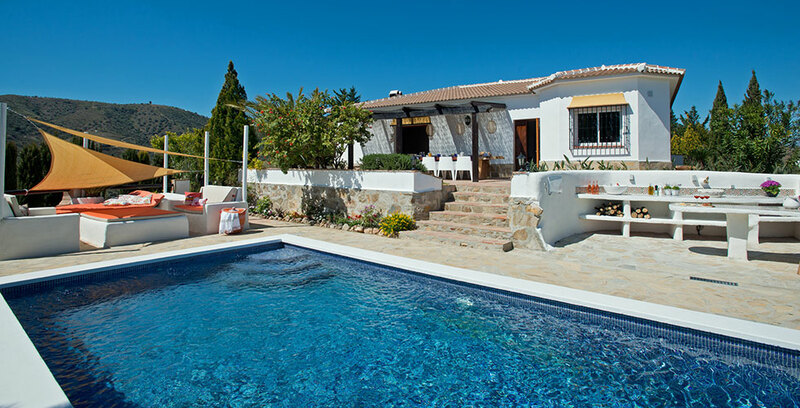 For a change of scenery, the house is a mere 30 minutes' drive from the beach of Torre del Mar, a sandy beach, ideal for children. 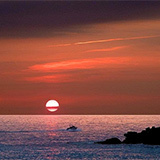 There are other beaches in both directions, all with different characteristics, you're bound to find one you like. The variety of seafood to try is a real attraction along this coast. 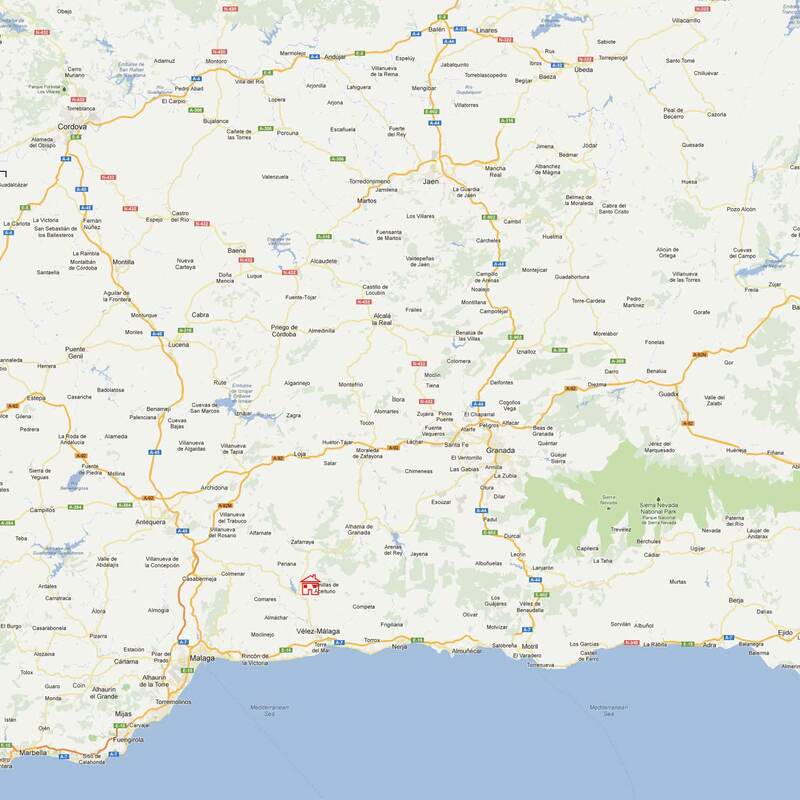 For a day out in a Spanish city, Málaga is only 50km away. This lovely city is often overlooked by visitors, and it's worth making the time for a stroll around its old town, taking in one of its many museums and art galleries or visiting its historic monuments. 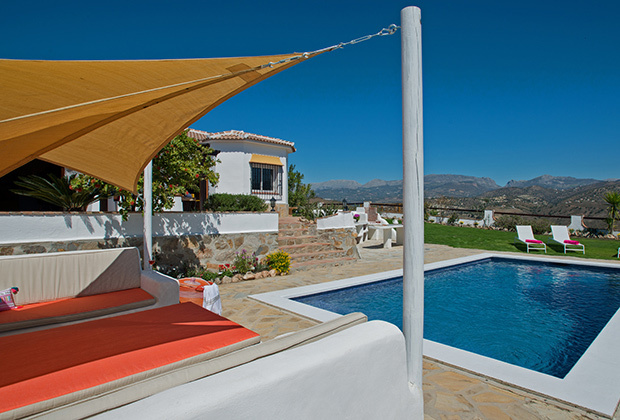 Inland, Antequera is a city to be recommended with its rich history and many examples of fine architecture. Children welcome, they will find a "tree house" and the private outdoor play area large enough for children to play football and other games. 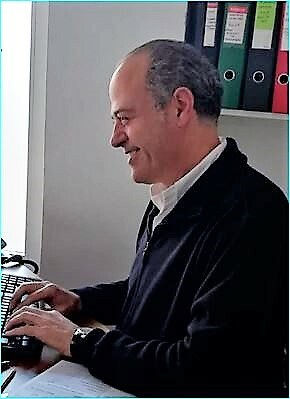 Electricity for air conditioning is charged at a standard rate of 0.20€ per kwh, paid locally on departure (metered separately). 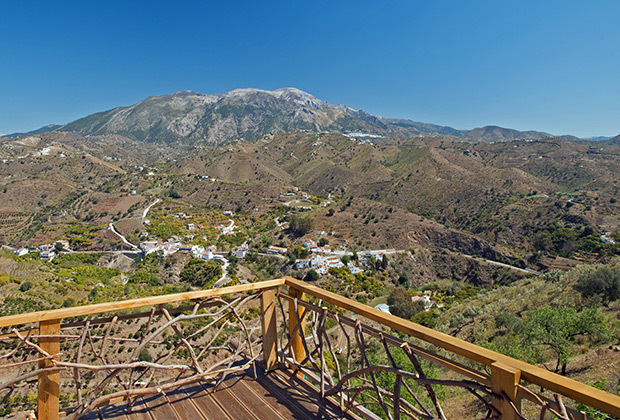 Aaccessed by a 1 km track, 4 km from the village of La Viñuela (small supermarket, butcher, baker, grocery, doctor, dentist, bars and restaurants) in La Axarquía region. 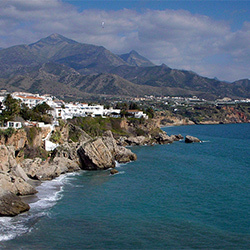 La Viñuela 4 km (10 mins); Vélez-Málaga (all facilities) 17km (20 mins). 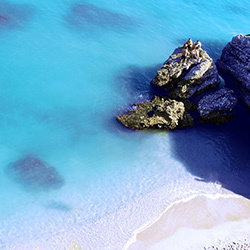 Pretty beaches make this the ideal place for a family outing. Pine trees add to the sense of tranquillity and the feeling of being at one with nature, while they provide the perfect habitat for many different species of birds.